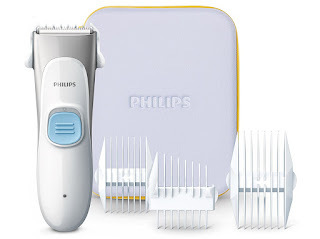 Today only, while supplies last, get this Philips Kids' Hair Clipper for ONLY $24.95 (Retail $34.99)! Philips Kids' Hair Clipper Series 1000 comes with ultra-quiet motor, multiple combs, and a professional blade with specially designed rounded tips, all within a water-proof design. All together these features allow you to give your child a comfortable, professional haircut in the convenience of your own home.